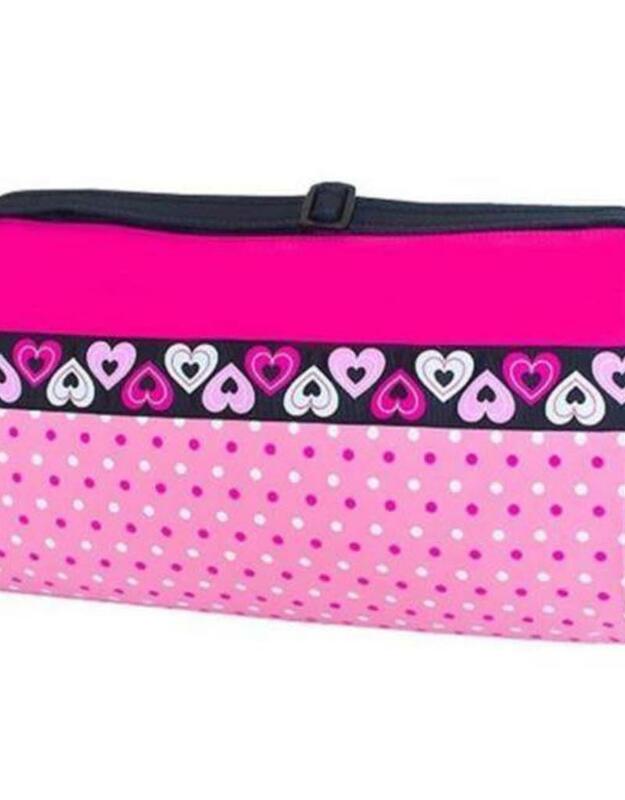 A great dance bag for your dancer as she starts her dance classes. Zipper. Adjustable shoulder strap. Easy clean. Outside net pocket.